Every new release by the 49 year old Swedish piano master from Ystad is an eagerly awaited milestone in European Jazz and "Potsdamer Platz" is no exception. One tends to forget that before his rise as a leading artist on the continent he was a first call sideman for artists such as Johnny Griffen, Mark Murphy and Scott Hamilton. This classically trained pianist is a cliche free melodic improviser with the most delicate butcommanding touch and a composer of great originality. Alongside him for this recording is the Finnish saxophonist Jukka Perko, another man also just as happy in the classical world. When you first hear him, you may think Lee Konitz but very soon you're thinking Charlie Parker until you realise that he has a highly flexible voice on alto, drawing on the past but firmly stamping his individual modernistic approach on proceedings. Completing the quartet are legendary, EST bass man Dan Berglund alongside the very busy Dainish drummer Morten Lund. The album is named after the area of Berlin located where the recordings were made at The Hansa Studios and was chosen to reflect the "Bright Lights Big City" feel of the production. From the first notes of the title track opener it is obvious that all four players are as one with telepathic interaction throughout. Here the alto skates over the theme that is for the most part carried by piano and bass as the track lays down a template for what is to follow. The thought provoking ballad "No 9" catches Jukka Perko in the lower register of the instrument with the pianist demonstrating that less is often more with space and time to the fore during his solo passages. Highlights are never very far away on this disc with the ever accelerating "Bullet Train" gaining momentum with imposing bass and busy drums adding to the exciting atmosphere. 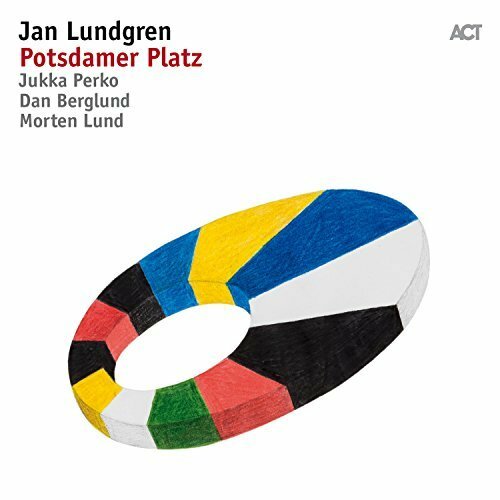 When things return to calmer waters "The Poet" reflects the glory of Jan Lundgren's writing at low tempo where both piano and alto bring out the best from the emotional theme. "Twelve Tone Rag" is full of joy, totally reflects it's title and surly would have gained the full approval of Mr Joplin, had he still been with us. The calmness of "Banks Of The Seine" gives us an alternative European feel on it's journey through the French capital adding contrast to the overall concept of the recording. The eleven items here are all of the highest quality and prove once again the vast riches we now have within the European jazz scene.